BRIXIES postcards contain colorful construction kits for various occasions, allowing you to send little greetings made from BRIXIES stones. Send a little bunny for the Easter Holidays, a tiny festive nutcracker for Christmas or simply a small wish for Good luck – a perfect surprise for your loved ones. 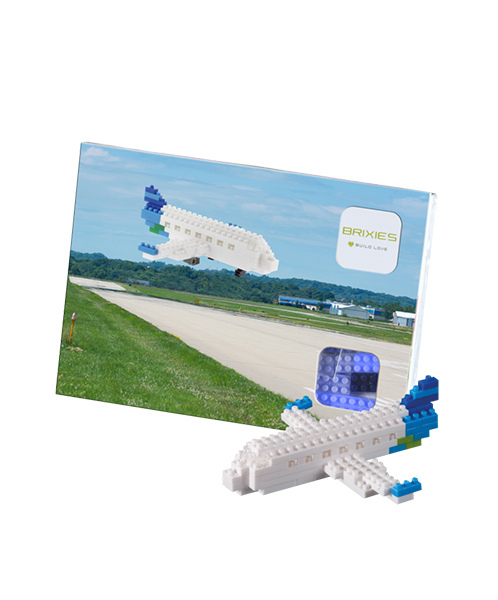 The postcard airplane made of colorful BRIXIES stones consists of 78 stones and is therefore classified as difficulty level 1.